Their Most Obedient Servant is a two-part installation celebrating Harewood’s Chippendale collection. 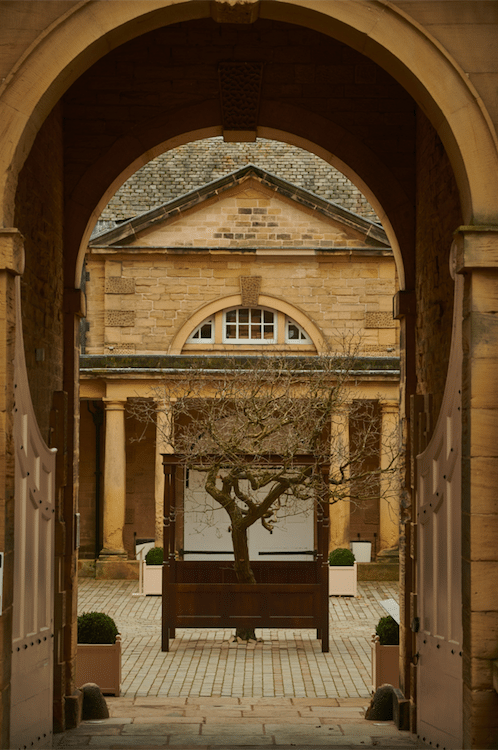 One part – Root and Branch – is in the Terrace Gallery and the other – Family Tree – can be found in the centre of the Courtyard (the 18th century stables). 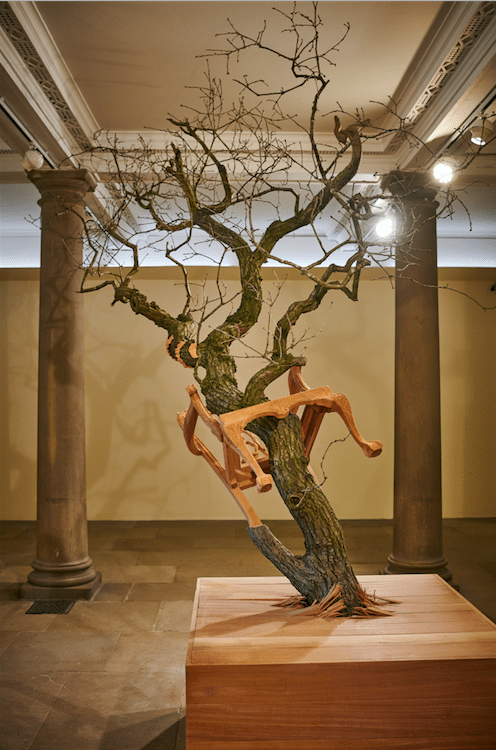 Root and Branch lays bare the connection between the grandest finished piece of furniture and the natural energy and raw material of a tree. 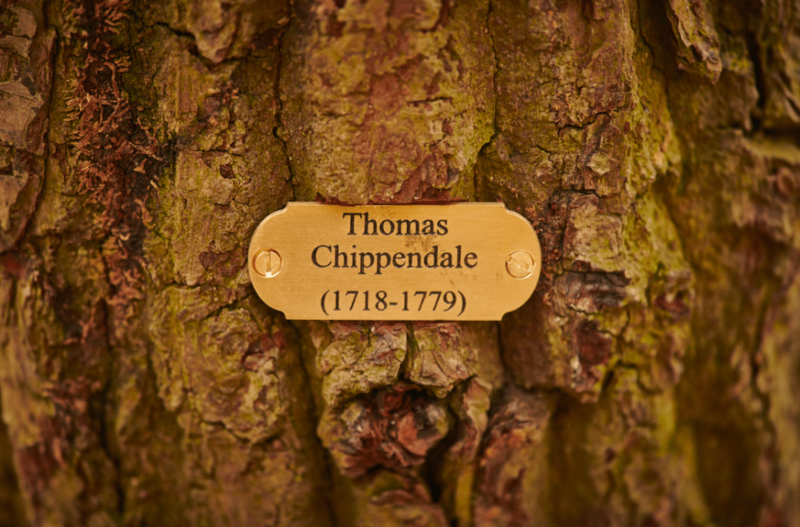 “Their Most Obedient servant” is the term used by Thomas Chippendale at the end of his introduction to his ground-breaking furniture design catalogue, The Gentleman & Cabinet-Maker’s Director. Geraldine Pilgrim is an artist who works across theatre and the visual arts; making site-specific installations and performances using a range of materials depending on the commission and site. She is known for her evocative installations and performances which transform spaces and places, creating a contemporary dialogue with historic houses, buildings and landscapes.